The UK Collaborative Centre for Housing Evidence (CaCHE) has invited a number of guest bloggers to reflect on delivering alternative tenures in Scotland. In this guest blog, first published on the CaCHE website, Richard Jennings, Managing Director at Castle Rock Edinvar writes about Mid-Market Rent and the role it plays in meeting housing need in Scotland. 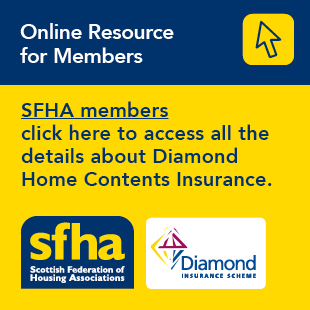 Mid-market rent (MMR) housing has been around in Scotland for many years now and it clearly meets the needs of many individuals and families who live in the private rented sector (PRS). The level of funding available from the Scottish Government has led to significant growth in the supply of MMR across cities and towns, and wherever you have traditional PRS it provides a better, more affordable housing solution. Traditional grant funding is not the only mechanism available. At Places for People (PFP) we have purchased private portfolios without grant; leased units from pension funds; switched tenures within our existing portfolio; invested in and managed National Housing Trust stock; and, most recently, created a new model of delivery through our PFP Capital MMR Fund, using a loan from the Scottish Government to leverage in pension fund investment. What is different for our MMR tenants compared to traditional PRS? As an institutional landlord we – Castle Rock Edinvar – are committed to long term investment in our assets; we have an in-house maintenance service that can respond quickly to emergencies; we are focussed on tenant safety and our compliance requirements; rental increases are at – or – below inflation; and we offer long term security of tenure. The nature of our funding and business model enables us to be in this for the long term, creating neighbourhoods and communities that work for everyone, with a clear approach to creating diverse mixed communities. The current models of delivery do not yet work everywhere in Scotland, and given the significant benefits of an institutionally managed property over your typical individual landlord, the question has to be, what do we need to do to make them work? The mechanisms for setting rents when public investment is involved are blunt tools that do not reflect the cost of delivery, affordability and alternatives in the market at a local enough level. The most commonly used benchmark is the Local Housing Allowance (LHA) and more recently we have seen use of the 30th percentile of the Broad Rental Market Area (BRMA). Both are good starting points and a richer set of data is required to inform individual developments that more accurately reflects the local housing market. An example of this is Dundee, where the LHA and BRMA are set using rental data for the whole of Dundee and Angus, which assumes that development costs and affordability are the same on Dundee Waterfront as they are in Arbroath. Clydebank sits proudly in West Dumbartonshire, where the LHA for a 2 bed is £103 a week, against £116 for Greater Glasgow; yet the costs of construction are the same, and a significant number of people living in the PRS in Clydebank will be working in the Greater Glasgow area yet cannot access this affordable tenure. Whilst £103 a week may not sound like a barrier to making development happen, when rolled up over the lifetime of the funding model it makes a significant difference in terms of what you can afford to build. As we look to the future, post-2021, and the requirement for housing to be affordable to everyone in Scotland, there is an argument to make MMR a dominant player in the Private Rented Sector. This can be delivered through many different funding mechanisms and, to reach the length and breadth of the country, it will require a fresh approach to rent setting that promotes new supply rather than hinders it. Views expressed by the author may not represent the views of CaCHE. This article was originally published on the CaCHE website.